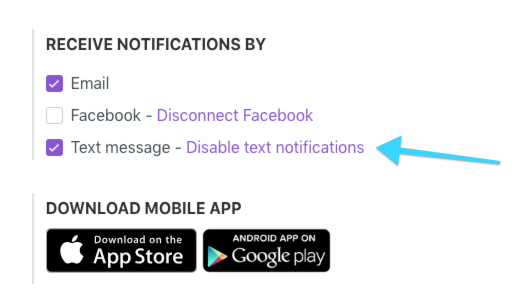 To enable text notification you must sign-in on the web application and go in "My notifications". 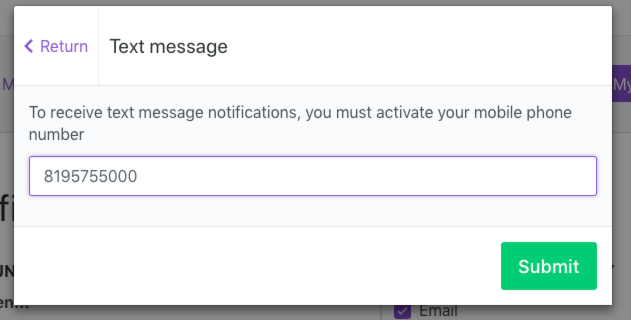 Your text notifications will now be activated. 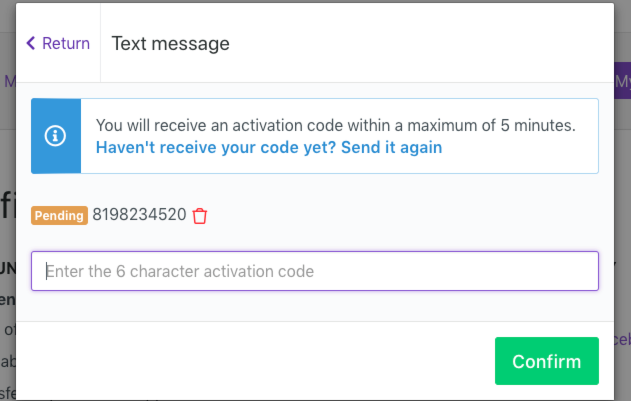 It could take up to 5 minutes until you receive the text. If you don't receive it after such length, you may want to redo the above steps. Go back in "My notifications"